January 17, 2019 – Employees wore jeans today to celebrate their 100% participation in the local Wayne United Way campaign for the 5th year in a row. 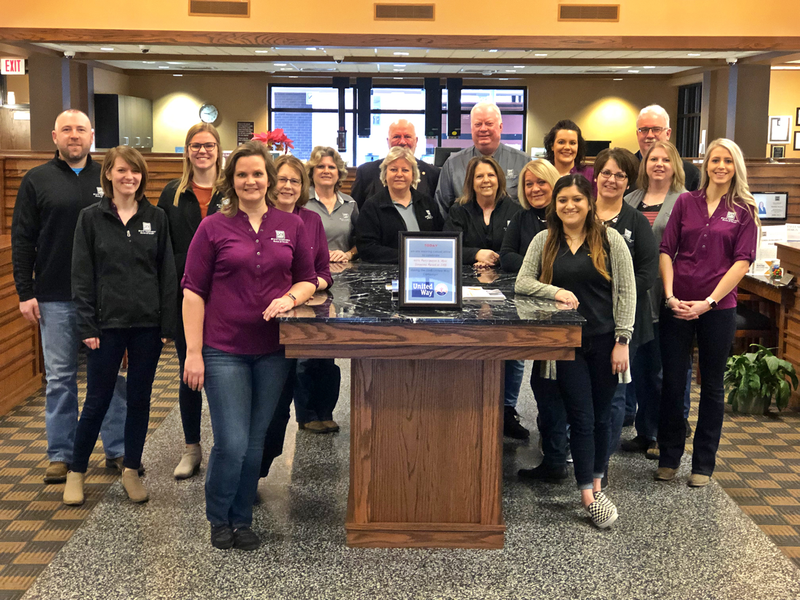 Our bank family beat its fundraising goal and raised over $2,000 through personal contributions, which was matched by State Nebraska Bank & Trust. The results? SNB’s total donation is over 12% of the Wayne United Way’s total campaign goal. We are proud to support local organizations like these and believe community investment is a priority. For more information about the Wayne United Way, contact Alex Salmon at (402) 375-1130, the group’s treasurer.